Inspired by classics like Valkyrie Profile and Super Metroid. 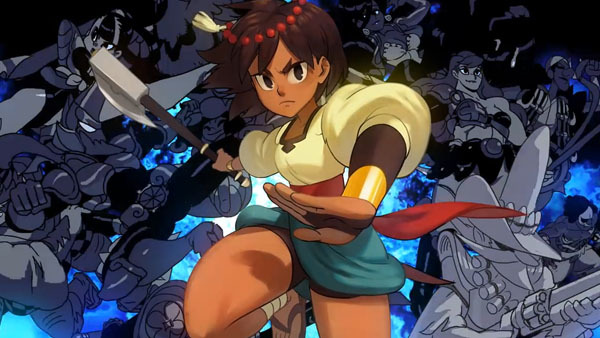 Lab Zero Games, developer of Skullgirls, has announced Indivisible, a new action RPG inspired by classic titles like Valkyrie Profile and Super Metroid. The game stars Ajna, a girl who sets out on a globe-spanning journey to discover the truth behind her mysterious powers. She’ll be joined by a variety of heroes and gain new abilities to traverse different environments and defeat enemies. Indivisible features a “deep story” inspired by southeast Asian and other world mythologies, 2D hand-drawn animation, and a soundtrack from Secret of Mana composer Hiroki Kikuta. A playable prototype and Indiegogo campaign are coming around early September. The actual game is planned for release around 2017.